​Actor Dave Bautista has revealed that embroiled director ​James Gunn handed in a finished script for 'Guardians of the Galaxy Vol.3' before being fired by Disney last week and, what's more, has threatened to walk off the project if Disney doesn't use the manuscript. Gunn was very publicly released by Disney after a series of tweets from over a decade ago were unearthed, wherein Gunn made tasteless and offensive jokes. 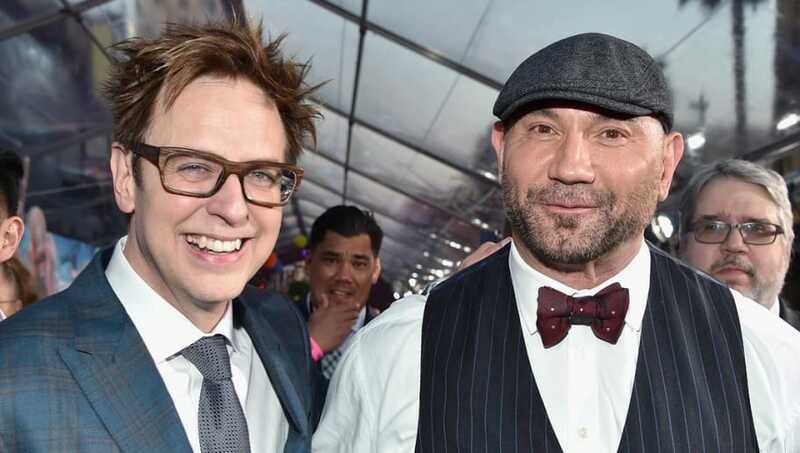 After Gunn's release, ​Bautista was one of his first and most vocal supporters, calling the conservatives who unearthed the tweets "Cybernazis," and warning that this sets a dangerous precedent in Hollywood. Given ​Bautista's level of popularity as Drax the Destroyer, an alien hero who takes everything literally to entertaining and tragic results, it would be almost impossible to recast him, and Bautista has made himself valuable enough that Disney would be taking a sizable risk if they released him from his contract. Bautista has already stated he's only going forwards on 'Guardians of the Galaxy Vol. 3' without Gunn out of contractual obligation, saying, "'​Guardians of the Galaxy’ without James Gunn just isn’t ‘Guardians of the Galaxy.’” If Disney throws out Gunn's script and Bautista walks without the house of mouse's permission, Disney could sue for breech of contract. As a former wrestler and popular actor, Bautista can probably pay the hefty fine, but Disney would still have the advantage, because Drax is canonically dead at this point in the films. Though the plan is to resurrect him, presumably the same way all the other characters killed by Thanos will return, it wouldn't be hard for Disney to find a loophole to keep Drax in the grave and deprive Bautista of his moral victory. Despite a huge groundswell of support from fans and Hollywood personalities, Gunn has publicly apologized for the tweets and has accepted Disney's position. Among the many celebrities who have publicly sided with him is the entire main cast of 'Guardians of the Galaxy,' who penned an ​open letter praising and supporting their director.